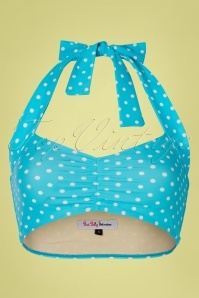 New spring/summer collection ~ It will be a summer to remember with this 50s Polly Polkadot Bikini Top in Aqua Blue! This playful bandeau top features 2 halter straps that can be playfully tied behind the neck. 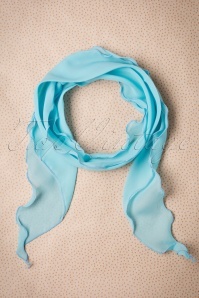 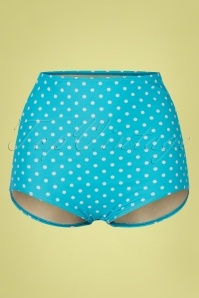 Made of a smooth and comfortable, stretchy, aqua blue fabric with a print of white polkadots. 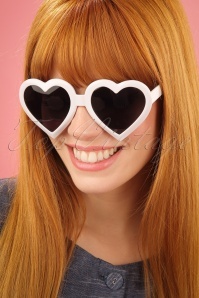 Let's go dotty!